Antique silver & gold horseshoe brooch. Product code: 1227 Categories: Sold Items, Sold Jewellery. Here is a very attractive antique brooch made in sterling silver and highlighted with rose and yellow gold and displaying a horseshoe in the centre. 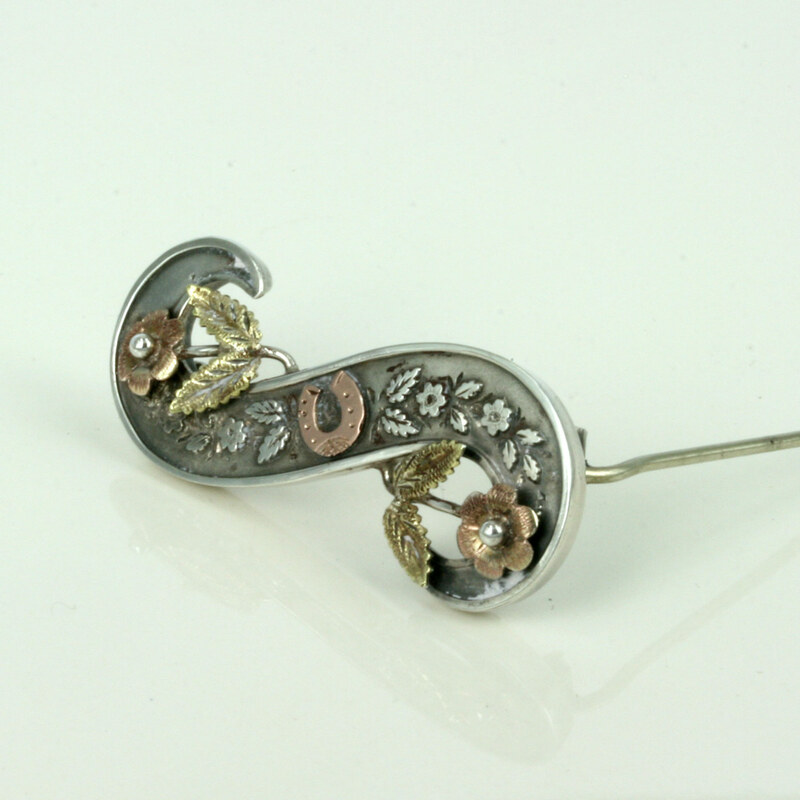 Made in Birmingham 1891, this brooch measures 4.1cm across and looks so attractive with the combination of gold and silver. A great horseshoe brooch that will always be admired.